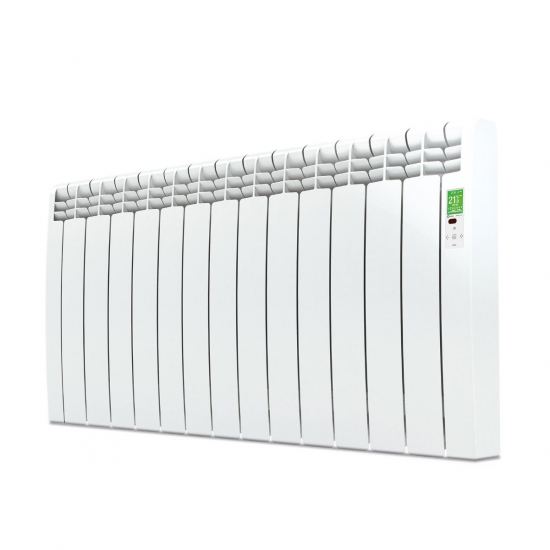 The Delta D Series electric radiator offers app-enabled smart heating via its integrated WiFi capability. Download the Rointe app and track your energy use, set or change your heating schedule, and turn your heaters on or off from the palm of your hand. Featuring a classic white finish, this 1430w version of the Delta D is ideal for larger spaces and fits most design schemes. Rointe D Series radiators revolutionise home heating with their elegant aesthetic and uniquely innovative features. Enhanced Wi-Fi controls allow the D Series to be controlled from any compatible mobile device, providing total heat management from any location. The 1430w output of this heater allows it to warm areas up to 17.5m², making it an ideal choice for large living rooms, kitchens and dining rooms.